Note: All dates and events listed above are tentative and are subject to change. This list reflects events that are available--we may or may not run every event. It is all a function of customer demand. We would like to run a smaller number of events that are well attended by our customers, as opposed to a larger number of sparsely attended events. 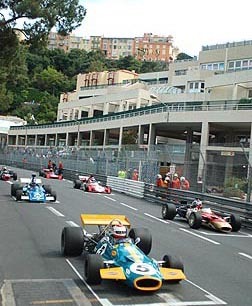 Special events (such as support races, spectator events, etc.) may also be added. If there is a particular event you would like to attend, please inquire. We'll do all we can to accommodate everyone's requests. 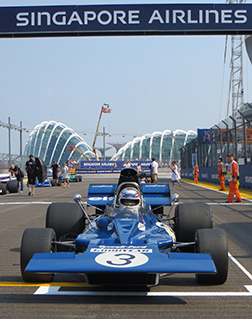 Tyrrell at the Singapore Airlines Formula 1 Grand Prix. 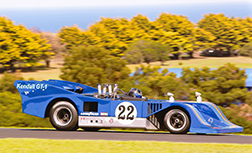 The Sting at the 2013 Phillip Island Classic Festival of Motorsport. 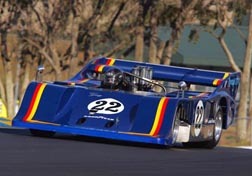 Scott Drnek racing a Surtees TS8 at the 2012 Phillip Island Classic Festival of Motorsport. Scott Drnek racing a McLaren M14 it the 2012 Sonoma Historics. Won Best Performance in his group. 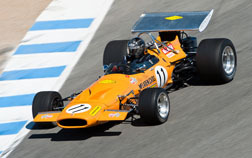 Scott Drnek racing a Brabham BT6 at the Monterey Reunion in Monterey California. 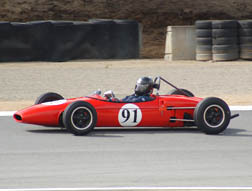 Scott Drnek racing the Sting at the 2009 Monterey Historics in Monterey, California. 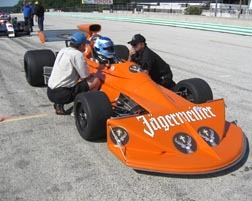 At the 2009 Kohler International Challenge - Road America supporting a March 741 Formula 1.
car, nicknamed the "sucker car". 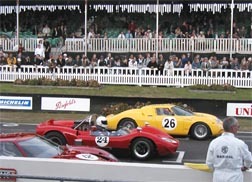 On the grid at Goodwood Revival.